A heartfelt, classic and thought-provoking debut from a fabulous new voice in middle grade fiction. Twelve-year-old Lou Bitao loves to make things with her hands—even if it doesn’t always win her popularity. The wooden flip-flops? The ingenious toilet-paper-roll hat? Yep, there’s a reason why the in-crowd call her President T.P. But now Lou has the ultimate summer DIY project. She’s going to build a Tiny House, 100 square feet, all by herself. A place crafted from her own skills, on her very own land, where she can escape when her jam-packed home and crazy extended Filipino family get too much. It’s not easy building a house, as Lou discovers. Mom’s moving them out of state, the county’s auctioning off her land, and time’s quickly running out. Still, with some unexpected help, a little innovation, and a whole lot of heart, Lou finds out that a DIY project can change her life… and just how big “tiny” can really be. Featured in the 9-12 age group, and with a star for Outstanding Merit. Named to Vermont’s 2019-20 Dorothy Canfield Fisher Award Master List! Selected by Teen Librarian Toolbox. Mae’s debut MG novel, THE HOUSE THAT LOU BUILT, was preempted by Wendy Lamb for her eponymous imprint at Random House. She is a former PEN Emerging Voices Fellow and author of Images of America: Filipinos in Los Angeles (Arcadia Publishing). She has previously been published in The Bigger the Better the Tighter the Sweater: 21 Funny Women on Beauty, Body Image, and Other Hazards of Being Female (Seal Press) and she completed a writing residency at the Atlantic Center for the Arts. She was also a longtime administrator for an established writing program at UCLA, where she was fortunate to build many connections with authors. 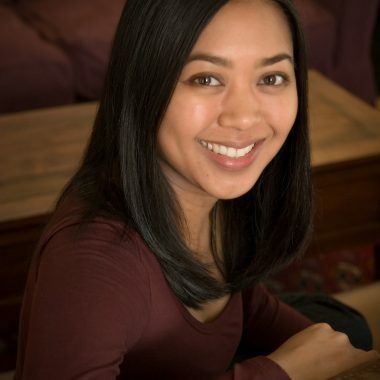 Mae Respicio is a Filipina-American writer. 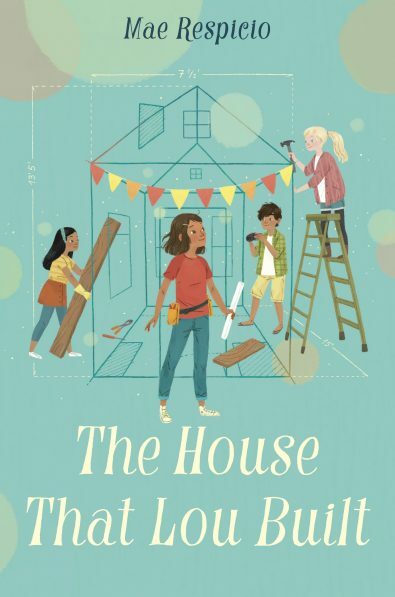 Her charming, thought-provoking middle-grade debut, A HOUSE LIKE THIS, was preempted by Wendy Lamb at her eponymous Random House imprint. She is a former PEN Emerging Voices Fellow and author of Images of America: Filipinos in Los Angeles (Arcadia Publishing). She has previously been published in The Bigger the Better the Tighter the Sweater: 21 Funny Women on Beauty, Body Image, and Other Hazards of Being Female (Seal Press) and she completed a writing residency at the Atlantic Center for the Arts. Mae was also a longtime administrator for an established writing program at UCLA, where she was fortunate to build many connections with authors.